I spent four months in India last fall. That’s over 100 days and over 300 meals. I ate at dozens of restaurants in a few different regions of the country and found a place at the table in several family homes. Of all of the warm, spicy, flavorful dishes I ate, a few nestled their way into that special and permanent spot in the heart I think everyone has for comfort food. The space is limited. It’s cozy and a little snug. And after four months, dal bhat and masala dosa settled into their place beside Annie’s gluten-free macaroni and cheese, mom’s spinach and strawberry salad, pepperoni pizza and Chipotle. 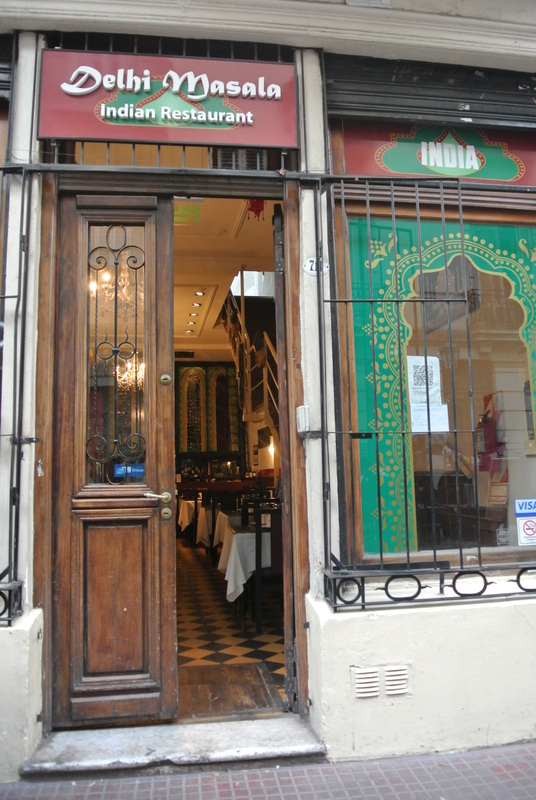 A few months ago I found my mouth watering outside a South Indian restaurant along the cobbled streets of an Argentinean market place. To my happy surprise, my friends agreed to go in and I ordered dal bhat: a little taste of a home I had somewhere else in the world. By the time we left Argentina, manioc cheese pastries had also found a spot in that little heart nook beside dal bhat. Luckily, with the aid of the internet and a touch of my moderately-reliable memory, Kelsey and I have already made both manoic cheese pastries and dal bhat. The manoic went over pretty well although we burnt the bottoms a bit. The dal bhat, though, was one for the books. “Mesi, Sonya!” I thanked our cook when she returned from the market with red lentils. I now had all the ingredients (with a few spice substitutions) to make dal bhat like my host mom had taught me in India. I never thought I’d be cooking Indian food in Haiti, but when all the ingredients are there, why not? Mostly from memory, I asked Kelsey to chop the onions, mince the garlic, and cut the parsley. I tossed three tomatoes into a pot of boiling water and set the rice and lentils to soften on their own separate burners on the stove. Picking the tomatoes out with tongs I peeled off the tender skin with my fingers and passed them to Kelsey to mush into a paste. We sautéed the onions and garlic with black pepper, turmeric and cumin and dumped everything into the pot with the lentils. I sliced a lime down the center and squeezed the juice into the pot with a few dashes of salt for the final touches and we carried the rice and lentil sauce out into the kitchen to eat. In our excitement to cook, I’d neglected to take into account the number we were expecting for dinner. And when the two of us sat down and dug our fingers into the warm heaping plates of rice and dal, the serving bowls were still mostly full. A few feet away Father Marc sat in his rocking chair, back turned to us. One of the older boys talking to him noticed our fingers deep in our food, methodically shoveling it into our mouths and whispered something to Father Marc. Suddenly his head whipped around. One by one they made their way into the kitchen taking their own plates of rice and dal. By the time everyone was seated their numbers had doubled. They looked questioningly at our hands in the rice. Some followed suit, some reached for forks and knives. At first everyone was eating quietly, quickly. Then I saw a salt shaker flash across my vision. One by one the boys poured salt onto the dal. Not so strange, I guess, my baba in India might have done the same. Then came the hot sauce. And, finally, and most offensively, the ketchup. Kelsey and I could barely stifle our laughter thinking about what an Indian person would think of these strange additions. At the end of the meal, though, the boys declared that they liked it…ketchup and all. That’s the best part about comfort food: sharing it with new friends in new places. 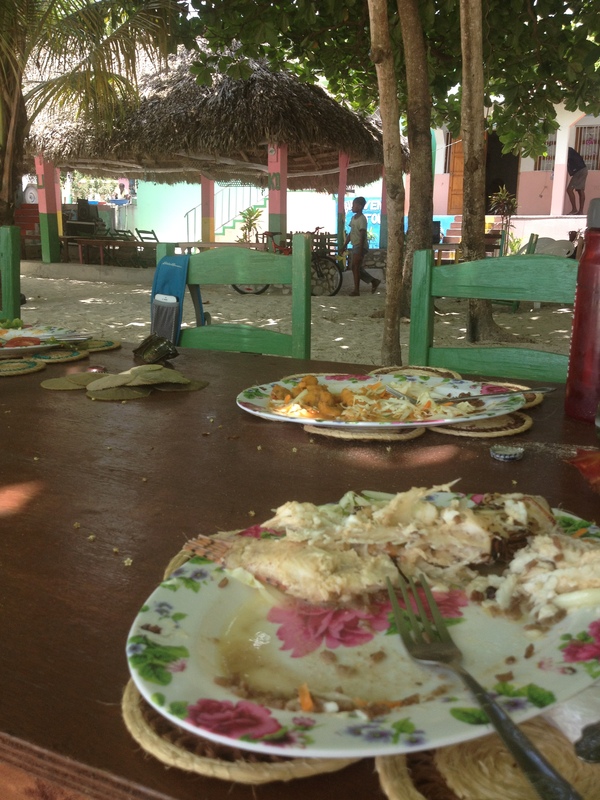 I know by the end of the year here, that little place in my heart now filled with mac n’ cheese, dal and Chipotle will include some of the comfort food of our new Haitian friends. A few dishes have already wedged their way in. When I return to Boston next July I know I’ll be making diri ak sos pwa, dob kalalou and diri ak sos ak poul for my friends there too. Tags: comfort food, food, haiti, india, life abroad, travel. Bookmark the permalink. posts. After aall I’llbe subscribing to your rss feed and I hope you write again soon!